Plans for Christmas holidays | Turning my world upside down! Each year for the past 4, we have celebrated New Year’s Eve in a different country. 2010 was in Fiji, 2011 was in Vietnam, 2012 was in Cozumel and last year was in Antigua. We don’t have any pictures of that last one as they got mistakenly deleted. The tradition continues this year. Since we are coming up to our 5th wedding anniversary, I wanted to return to Key West this winter. We didn’t manage to get a reservation for New Year’s Eve in Key West, but we will be staying at an inn there on January 1 and 2. 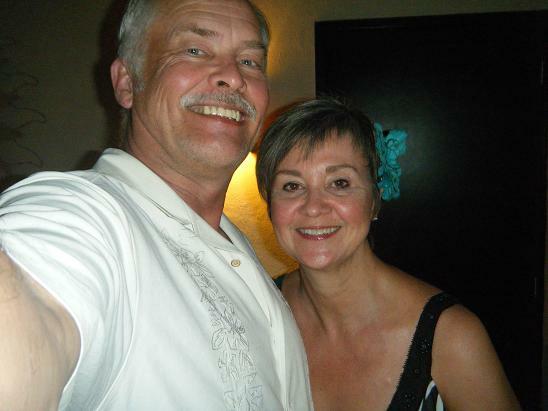 As for the rest of the trip, we plan to visit Sanibel and Captiva, perhaps do some diving at John Penekamp underwater park, eat lots of seafood and walk on as many beaches as we can. Nothing too strenuous. 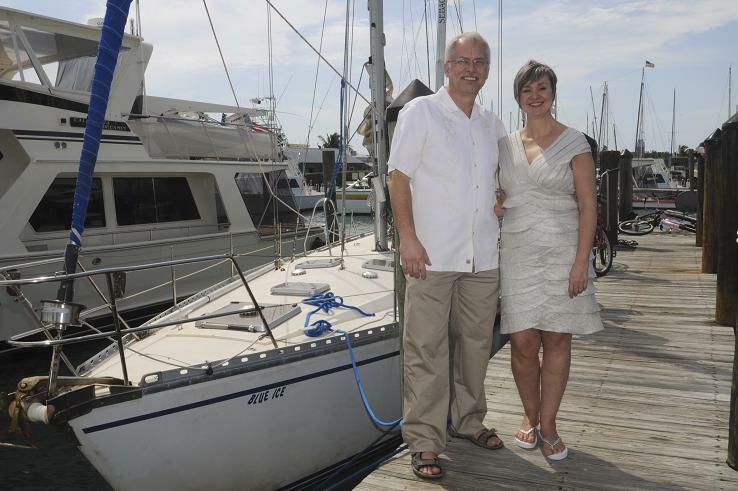 Our wedding day, just before we boarded the sailboat to get married, Feb 12, 2010. Thanks Lucien! Unfortunately, I am still working, so I have to take holidays within the limits of our school holidays. If you have any suggestions for us as to where to stay in other parts of Florida, then I would love to read them. I understand about the school holidays. Key West is definitely pricey as far as accommodations, I heard that $300 a night can be common. We stay at the military RV campground for $13 a night. I’ve been told that I can get a room at the Fly Navy hotel on base for $65 a night, but that’s iffy because of availability. Going back towards Miami about 50 miles from Key West is the town of Marathon and accommodation their are relatively inexpensive. If you were camping I would have many suggestion. Sorry I couldn’t be more helpful.